The small city of Headland is located about 50 miles south of Lake Eufaula. Over the weekend, a youth movement from the city invaded Eufaula and made the lake their own personal playground, dominating competition in the Alabama B.A.S.S. Nation (ABN) State Championship Friday and Saturday (Oct. 19-20). Auburn University angler Cole Burdeshaw, who helped form the fishing team at Headland High School about five years ago, claimed the overall title with a two-day catch of 38.79, topping the field by almost eight pounds. Burdeshaw caught the big bag of the tournament, 20.89 pounds, on Friday and solidified his hold on first place by adding about 18 pounds on Saturday. Local angler Joe Buchanan (Bluff City Bassmasters of Eufaula) finished second among boaters with 30.94, and Larry Franks Jr. (Coosa River Rats) took third with 30.56. Franks caught the biggest limit, 18.24, in Saturday’s round. surged into the lead on the final day and easily won with a 21.63 total. Cherry and boater Peyton McCord, another original member of the Headland High team and current Auburn angler, completed a tournament trifecta for Headland fishermen by winning the first-ever ABN Team Trail competition. Burdeshaw said he committed to fishing shallow grass after catching “two big fish in practice” on Thursday. The pattern served him well. He caught two largemouth over six pounds in the opening round and added another similar big fish on the final day. After flirting with a top finish at the last two ABN year-end championships, Burdeshaw said everything worked to his advantage on Eufaula. on a buzzbait and a bladed jig. Cherry and McCord also fished shallow both days and caught their fish on a buzzbait and a bladed jig. Cherry weighed 9.01 in the opening round, which put him in the top 10 among co-anglers. Returning to the same spots Saturday, Cherry found even better quality bass and brought in a three-fish limit that weighed 12.62, a total topped by twin 4 ½-pounders. Cherry made the most of his one practice day, boating his biggest bass ever pre-fishing on Thursday, a 7 ½-pound largemouth. Completing the top 10 in the boater division were Justin Barnes (University of Montevallo, 29.16); Roger Peebles (LA PO Boys, 25.73); Keith Glasgow (Winfield Bassmasters, 24.92); McCord (24.62); Curtis Coleman (Pro Line Bassmasters, 24.20); Roy Galbraith (Winfield Bassmasters, 24.04); and Gregg Quinley (LA PO Boys, 23.87). Quinley landed the overall lunker of the tournament, a 7.98 largemouth that was the Academy Sports + Outdoors Big Fish on Day 1. Among co-anglers, Lacson Reid (Rumbling Waters Bass Anglers) finished second overall with 19.74. Cherry and Reid were followed in the co-angler standings by Chandler Teems (Coosa Valley Bassmasters, 18.69); Chris Curvin (Neely Henry Bassmasters, 18.41); Phillip Williams (Gilbertown Bass Club, 16.60); Francis Beard (Neely Henry Bassmasters, 16.59); Brooke Galbraith (Winfield Bassmasters, 16.39); Lisa Cox (New Line Bass Club, 16.36); Danny Parmer (Monroe County B.A.S.S. Anglers, 14.33); and Chris Marler (Neely Henry Bassmasters, 13.36). Cherry and McCord combined for a 46.25 total over two days and won the Team Trail title and earned a trip to the Toyota Bonus Bucks Bassmaster Team Championship on the Harris Chain near Orlando, FL, in December. The ABN qualified four teams for the Team Championship in December. Also qualifying were Larry Franks Jr. and Larry Franks Sr. (Coosa River Rats), Ray Covington (Gilbertown Bass Club) and Williams, and Chad Miller (Rumbling Waters Bass Anglers) and Beard. 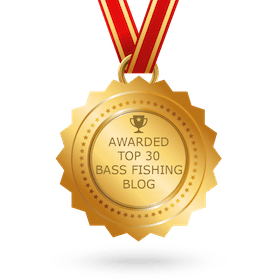 The 2018 Anglers of the Year in both boater and co-angler divisions were also crowned after the tournament. Barnes (University of Montevallo) entered the tournament third in the standings but used his fourth-place finish to earn the boater AOY title. Beard repeated as co-angler AOY. Sponsors who support ABN events include Academy, Airport Marina, Office Partners, Triton Boats, Mercury, Motor Guide, Lowrance, NetBait, Shell, Hammer Rods, Daiwa, Shelby County, StrikeZone Lure Co., Transducer Shield and Saver, and Charlie’s BBQ. The city of Eufaula and the Barbour County Chamber of Commerce served as hosts for the event. The state tournament on Eufaula completed the regular year for the ABN, which previously held qualifying tournaments on Eufaula, Guntersville, Lay, and Pickwick. The full slate of tournaments for the 2019 season has not been finalized but will likely start in February. The schedule will be announced soon and posted on (the ABN) website. Greg McCain is a freelance writer with current credits in Alabama Outdoor News, Great Days Outdoors, Alabama Game & Fish, and CrappieNOW online magazine in addition to producing content and photos for this website. He is a member of the Belgreen Bass Club, an ABN chapter near Russellville, and finished second among ABN co-anglers in the AOY standings.